From the BJP to the Industry body Indian Broadcasting Federation (IBH) to e-commerce majors like Amazon and Flipkart, online travel and fashion portals like Trivago and Myntra and messaging platform Whatsapp, last year saw a mixed bag of brands spending a substantial part of their marketing money on television and this went beyond the festive seasons and cricket tournaments. In fact, online dotcom companies were investing in this medium for the major part of the year. Case in point: Trivago led both BARC’s Top 10 Brands of the year (from Jan 1-Dec 28, 2018) and week 52 (December 22-28, 2018) with 5,36,908 and 11,557 insertions respectively. 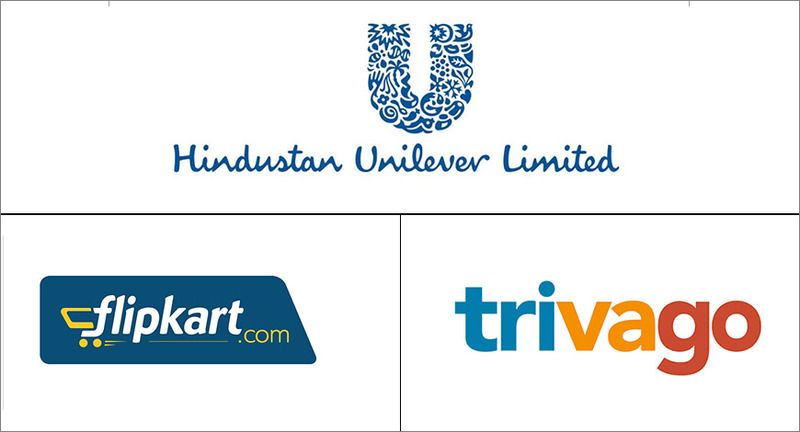 Trivago was followed by regular players like Lizol, Santoor Sandal and Turmeric, Dettol Toilet Soaps, Roop Mantra Ayur Face Cream, Colgate Dental Cream and Dettol Liquid Soap at the second, third, fourth, fifth, sixth and seventh spots with 5,07,035, 4,77,705, 4,06,547, 4,02,201, 3,91,782 and 3,88,203 insertions respectively. While global e-commerce major Amazon.in took the eighth spot with 3,82,616 insertions, DTH player Videocon D2h (now known as D2h), another frequent advertising brand, occupied the ninth spot with 3,65,118 insertions. Dr Ortho Oil and Capsule stood tenth with 3,37,541 insertions. In the past two weeks (51 and 52), Flipkart and its fashion portal Myntra heavily advertised their year-end sales with TVCs featuring Bollywood A-listers—Alia Bhatt, Ranbir Kapoor, Kareena Kapoor and badminton champion PV Sindhu. Hence, their entry in Top 10 Brands for that fortnight. Prior to that, implementation of the new tariff rule ads made the Indian Broadcasting Foundation (IBF) the top advertiser on TV on Week 50 since the public body and broadcasters have been rolling out TVCs educating consumers on the new pricing policy. In the same week, WhatsApp forayed into the category with its first commercial in India to fight fake news. BJP, a frequent TV advertiser (during election and by-election time), led the category in Week 46 during the election campaigning in Chhattisgarh, Mizoram, Madhya Pradesh, Rajasthan and Mizoram in November. In Week 45, global streaming giant Netflix made an aggressive entry into advertising for its then latest movie ‘Mowgli: Legend of the Jungle’. Meanwhile, in Week 41 (October 6-12), Amazon India and Flipkart leveraged the festive period with their campaigns around sales—Great Indian Shopping and Big Billion Days—which helped them gain spots among the Top 10 Brands for that week. In fact, the entire year saw them making frequent appearances in the category. Global streaming service Amazon Prime Video and Amazon Fashion also advanced in weeks 28 (July 7-13, 2018) and 25 (June 16-22, 2018). The advent of the Indian Premiere League 2018, a tournament when marketers don’t restrict themselves in any way, saw the entry of title sponsor Chinese smartphone maker Vivo and telecom player Vodafone in Week 15 (April 7-13, 2018). February saw the launch of ZEE5, ZEEL’s video streaming service with a high decibel marketing campaign across the nation. This inevitably led it to feature in BARC’s eighth week of 2018 (February 17-23). FMCG majors brand Hindustan Lever, Reckitt Benckiser and ITC Ltd were the top three advertisers in BARC’s Top 10 (advertisers) with 66,72,584, 45,88,569 and 19,03,404 insertions respectively. This doesn’t come a surprise since the first two brands were leading the category every week. The third place was always a bone of contention for Procter and Gamble, and ITC Ltd. In the recent past, the latter has been occupying the third place. P&G took the fourth spot with 14,47,330 insertions. While Cadburys India stood fifth with 13,34,111 insertions, Brooke Bond Lipton India, SBS Biotech and Colgate Palmolive followed it in the sixth, seventh and eighth spots with 10,84,807, 10,23,580 and 10,05,185 insertions respectively. Global e-commerce major Amazon Online India which entered the category in Week 23 (June 2-8, 2018) has been fairly active the entire year and took the ninth spot with 9,87,496 insertions. Meanwhile, Godrej Consumer Products was at the tenth spot with 9,24,308 insertions.